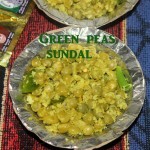 Sprouted green moong sundal is a healthy and quick sundal recipe and an ideal Navratri snack. You can steam the sprouts earlier and then give the seasoning. 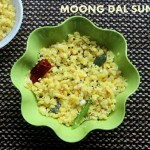 If you like a crunchy sundal, you can cook for a lesser time and if you prefer a soft sundal, cook the moong for a little longer time. 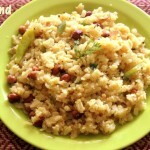 Coconut added to it gives a good taste and aroma to the sundal. 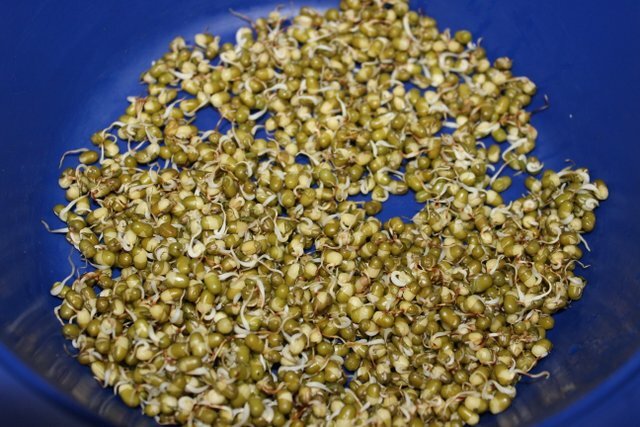 Sprouted green gram is rich in fibre and other essential minerals. 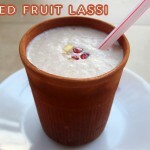 It helps in improving digestion and reduce cholesterol. 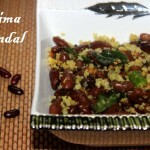 This sundal is a wholesome and protein rich dish and can also be served as a salad. 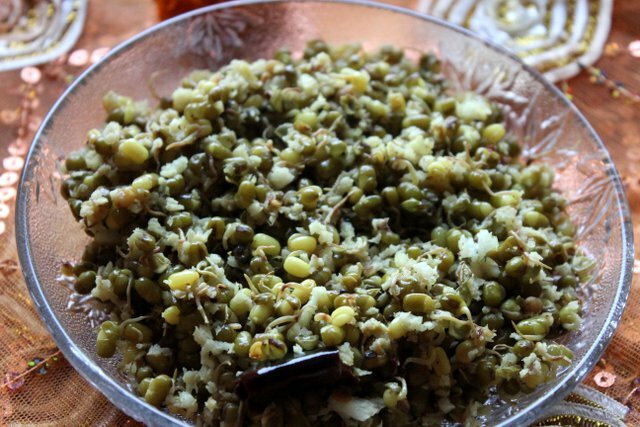 Cook the sprouted green moong in an open vessel with enough water, till they are well cooked. Ensure that they do not become mushy. 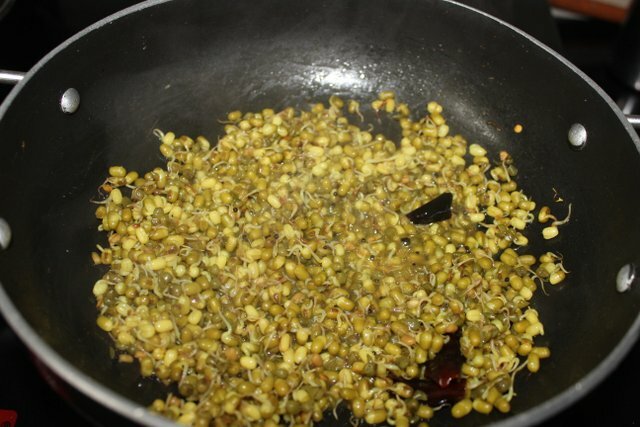 Once cooked, drain the excess water and keep the cooked sprouted moong aside. Heat oil in a pan. 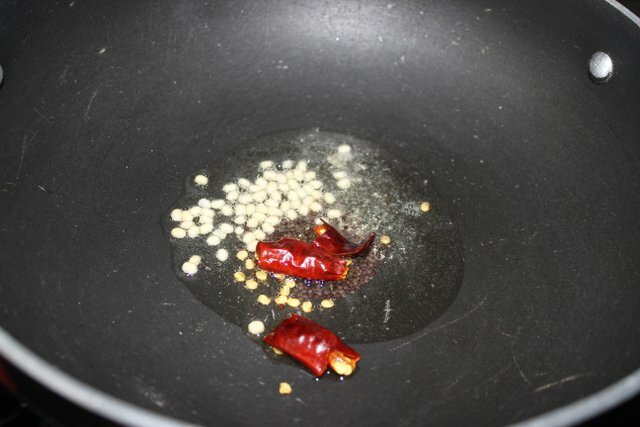 Once the pan becomes hot, add hing and mustard seeds. 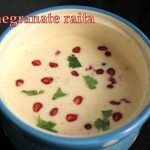 Once the seeds starts spluttering, add urad dal and red chillies and saute till it becomes light brown in colour. 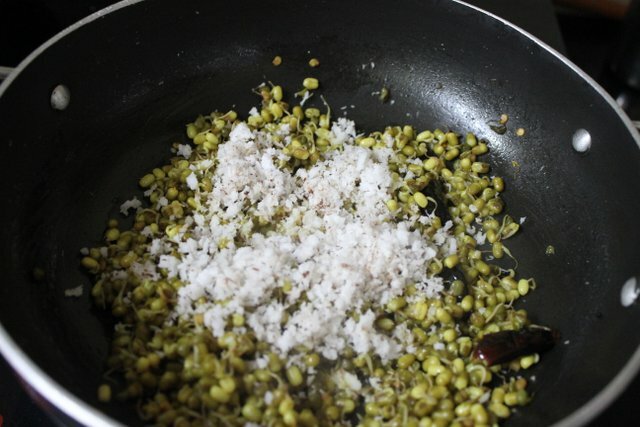 Then add the cooked sprouted green moong, turmeric powder and salt. Mix well all the ingredients. 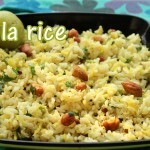 (If you feel the moong is not fully cooked, here you can sprinkle little water and cook it fully). Cook on a low flame for 3-4 minutes till all the moisture is well absorbed. 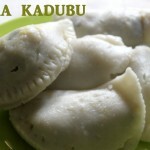 Once cooked, add grated coconut and mix well. Switch off the flame. 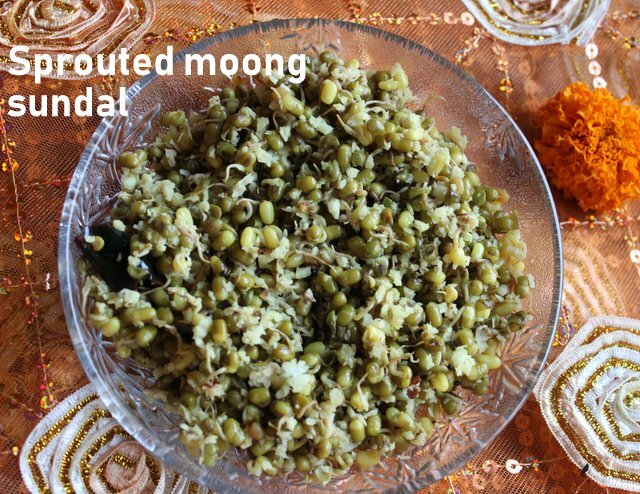 Serve sprouted moong sundal as a naivedyam during Navaratri or a as a healthy snack. 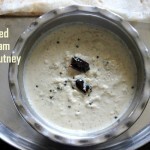 You can use coconut oil instead of normal cooking oil. 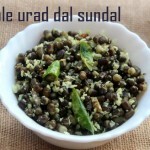 Coconut oil enhances the flavor of the sundal. 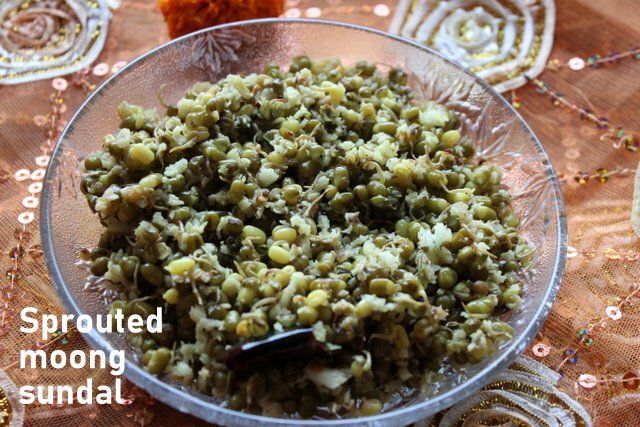 You can make with mixed sprouts,with the same recipe. Sprinkle little lemon juice for a tangy flavor. You either steam the sprouts or cook in an open flame. 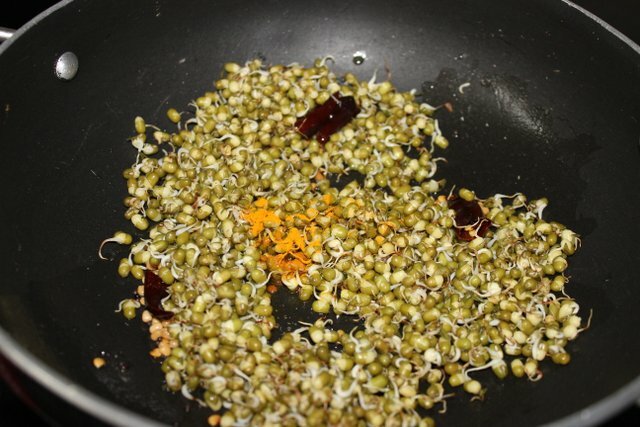 Do not pressure cook the sprouts, as all the nutrients will be lost and it will get mushy.